In Toronto, it is important to have an alarm company near to your premise. Local, neighbourhood alarm companies, like Spadina Security, offer personal care and quick service. Yesterday a customer had a problem with their office burglar alarm. The last person to leave did not arm the burglar alarm system. The first person in the next morning unlocked the door and entered their alarm code just like she always does. 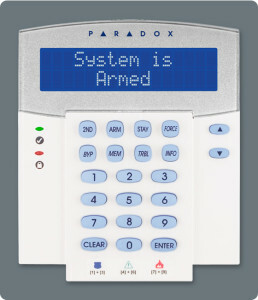 This time, since the burglar alarm was not armed, she actually armed it when she entered her code. The keypad beeped the countdown timer to inform her she has time to leave. She entered her code again and called our main phone number (416) 706-SAFE for service thinking that there must be something wrong. My alarm technician was on site and resolved the issue within 90 minutes. There was no charge for this service call. The response to an alarm signal is very important. Our security guards have had excellent response times when an alarm is triggered. The fastest time we have recorded was less than a minute. Our Security guards patrol the area and buildings where our customers reside. This is our guard patrol service that many of our customers enjoy. The guard was already in the building conducting a patrol when he heard the alarm. By the time the monitoring station called the guard to dispatch he could already report that the premise is secure and it was a false alarm.